Mandala or the eye is a circular figure that represents the universe in Buddhist and Hindu symbolism, and everyone should choose the one around which he or she first attracts him or her to discover more about him/herself. The picture shows three mandalas, each of which carries an individual meaning and describes the characteristics of a person. Take a good look at the picture, take the time to look at the details, see what attracts you or not, turn your intuition into a selection and choose one of the mandala that will reveal who you really are and what features you are wearing. The basic characteristics of the personality are gentleness, expressed sensuality, secretiveness, moody desires that are not pronounced out loud, lukewarmness with a sympathetic dose of shyness. If you have chosen mandala number 1, you are the person of spring. Stretched, like a blossom in a quiet wind, you dance in the rhythms of your emotions. Emotionality is your greatest virtue and even flaw. You transfer your emotions through yourself, but keep your most beautiful parts deep inside yourself. 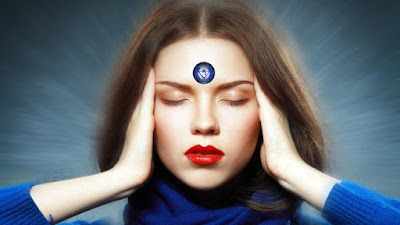 Your center is your heart, the heart chakra and it's your tenderness that is completely honest and irrespective of the cruelty of the world, you are selflessly providing. You are aware of your weaknesses of the personality, which is why you have set up certain walls to protect yourself. Your oasis is exclusively yours and you enjoy yourself as you show the parts of your gentle strange personality through your appeal from the outside. You are a heavenly nest with expressive spirituality and emotional delicacy. You can say that you are a sensual being, which the world experiences through the senses and absorbs in its own unique way. You are focused on aesthetics, art, geometry, harmony. The basic personality characteristics are temperament, explosive nature, unstable energy, variability, expression of emotions, penetration, durability. If you have chosen mandala No. 2, you are the person of Fire. Your nature is fierce, temperamental, stable, penetrating, and uncontrolled. Your energy is expanding in space and as a fireworks illuminates and expands you. Your central part is your stomach and solar plexus. "I am" is your password, your self-confidence is present, built, stable and socially oriented. Your personality is somewhat stratified, and you build it through years of life and experience. In essence, you are a sentient being, but because of the various circumstances through which you passed, you had to shape and create new personalities in yourself to achieve stability, in a mental sense. In your personality, the Ego dominates, as a built form over time. Ego is formulated, focused and strong. You give away the impression of a somewhat cold person, a firm attitude and a focus on yourself. In an emotional relationship you also can be able to point out your pink side, but you always add to it and the arrows for protection. It can be said that you are a rational and material being. The basic characteristics of the personality are stability, inner peace, self-direction and development, diligence, harmony, without much detail, the simple way of life and the "peace in the world" slogans. If you have chosen mandala number 3, you are a person who is spiritualally built, directed to your spiritual development, building an internal balance and fund. 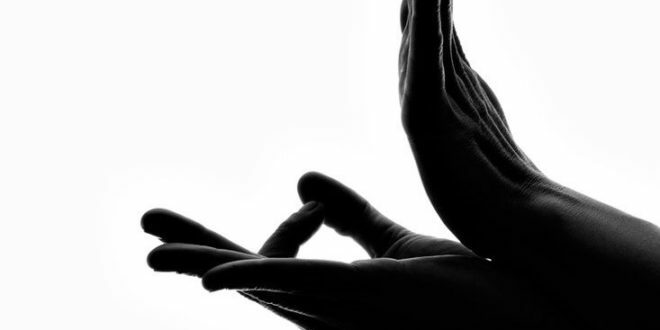 Your consistency is established by the most commonly used techniques - meditation, yoga, and you are very dedicated to your spiritual journey. Everything is organized with you, simply and still functional to the extent that you understand. That's why you can be cut off from society, but it does not bother you too much, because you have chosen your path of development and enjoy it. Your zen garden is built according to your idea and everything is in the blueness of birds, sun, peace and color. Your personality is calm, blissful and sociable. You are not essentially introvert, nor are you running away from reality, you just love your zen garden and find yourself in it. Your center is a sacral and crown chakra. Your emotions are consistent, and your spirituality is present. You are prone to the inner peace achievement, there is a light that comes out of you and like the lotus flower you are beautiful, gentle and untouchable. Your emotional side in terms of partnership is a little neglected, you are quite fenced in that sense. You are satisfied with yourself, you love yourself, work on yourself, and the presence of a partner in your life is not that important thing for you. You like like-minded people, so you choose partners that are similar to you. 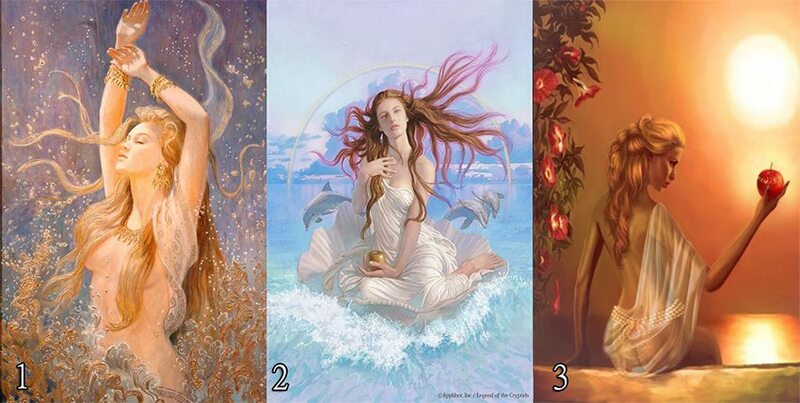 Choose one of the three cards offered on the picture, guided by your intuition. 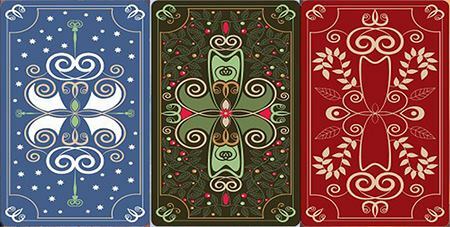 Each card has its own meaning and carries a message about past and present events, certain future events and recommendations. Blue is 1, green is 2, red is 3. Backward time you are under the pressure of various emotions, energy of environments, circumstances from various circles of action. 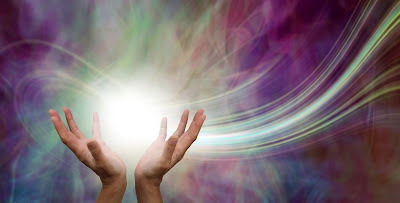 Your energy wall has been damaged and you have absorbed too much to submit. Overloading. Decay into the vortex. A sense of confusion. Mild frustration. A feeling of sinking to the bottom. Losing your own control. Inability to control your own feelings and a fight that does not end in your favor. You feel weaker in this game. You're overtaken, but your "immunity" is strong and ready to fight. You do not give up on yourself, but you also feel weakness. You are aware of the events around you and the pressure in you grows. You let yourself that emotions, circumstances, different energies capture you. You feel overpowered, and your strength is weak. You sink deeper, and you lose the feeling of yourself. You have fallen asleep and have let yourself be led by the depth. You do not want to feel, you want to indulge yourself with the current state you are in. Your energy level is low and your will is poor. The emotional state you are in is a changeable and transient character. Let the flow of water lead you, do not resist, but do not lose yourself. Close yourself in a waterproof capsule and sink to the bottom. Protect yourself and swim to the surface when you feel the return of the energy pulses to your being. Do not press the situation in which you are, do not fall under negative emotions and thoughts, wait a while for the surface to clear, calm down and restore your solid ground to which you are accustomed. Key words - faith, hope, love, deity. In this period, as in the last days of February, you are in your element, completely on your soil, and enjoy all the blessings of protection, happiness, and orientation. You are totally careless in your cloud of happiness, knowing that the higher power protects and supports you in your plans and intentions. You are surrounded by pleasant energies, prosperous circumstances, you are focused most on yourself and work on yourself, both to the physical appearance and to the spiritual inner state. Strive balance and harmony. From the past, you bring blurred illusions, cold emotional relationships, obstacles that you have encountered. All that is now behind you, somehow still noticeable in the fog, but you are now elevated above all the difficulties and you feel that lightness in yourself and bliss. You are enjoying in full of enthusiasm with momentary peace and equanimity. Do not ask for more than you get. In the future, all the chances are that you will be able to take advantage of these moments of peace, balance, fulfillment, protection, happiness by the end of this month. Nothing lasts forever, especially when the divine feeling is what we get. Do not go into this nirvana, but keep the awareness that it will pass once and that the obstacles from the mist will reappear, ready to teach you and strengthen you. This is just a moment of rest, to recover, to fill in nice feelings, to surround with pleasant people, dedicate yourself to your appearance, beauty image, as well as to inner peace. Take advantage of this period for yourself, because you have earned it. Do not think it will last forever and do not easily leave it. Stay with one foot on the ground. What can precede this targeted intention ? This is an emotional relationship card. Exclusively focused on partner relationships, emotional shocks, partner fraud and desire for vengeance. Intuitively, this card represents pure feminine energy. She is gentle, feminine, emotional, and dangerous. If you have chosen this card and you are a man, then know that you are the subject of someone's emotional revenge. This does not necessarily mean that your intentions were bad or that you out of the relationship turned out to be a negative character, here the emphasis is placed on the female person and her emotional and spiritual condition. She feels betrayed and is quite focused on leaving a trail. Her plan is elaborated and her orientation is strong. Injuries are pronounced and anger will not pass quickly, without feeling the same pain with another partner, in this case a man. No doubt, there will be disagreements, negative attitudes, quarrels, hurt feelings from a woman's side. She will be directed towards her goal, but her intention will not be realized as it wanted it to be. She will be ready to leave a scar, but she will only come to another disappointment. A man in this context is completely disinterested in the future of this emotional connection. Thus, her intention will not open the trail on his emotional state. Fire and ice relation. No future. If you are a woman and you have drawn this card, be prepared for the defeat and the loss of the trophy you intended to take. And if you were about a uninterested man, know that your intention will not pass. Perhaps as a seducer you have everything you need, but your stubbornness will cost you only at the end. Quit before it's start.